Electric utility vehicles on uphill slope, we discover how to face a speed hump on an uphill slope and obtain the best from our electric utility vehicle. Climbing an uphill slope with an electric utility vehicle is a difficult task in itself as a lot of power and electric energy are needed; if a speed hump must also be passed, things become highly complicated. If the vehicle is at a complete standstill, a hump, no matter how small and harmless, seems to be a challenging uphill slope. Here is a test for an electric utility vehicle with a rather high speed hump; the gradient of the speed hump added to that of the ramp is approx. 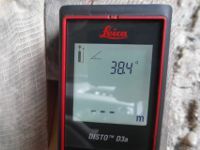 70%, equal to 38.4 degrees. The gradient of the ramp is approx. 20%. The electric utility vehicle being tested in an Alke' XT320E with 2-wheel drive and load of 500 kg. The result is as if an uphill slope with gradient of 70% must be climbed; something impossible for a normal 2WD electric vehicle. 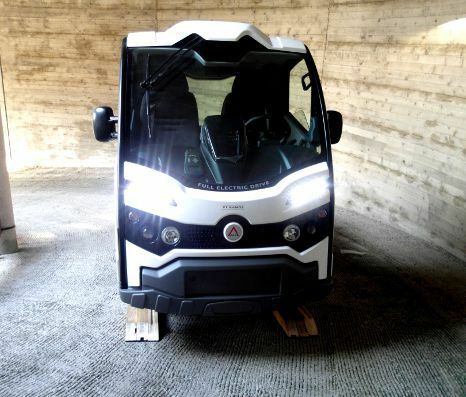 In reality, the Alkè electric utility vehicles can face uphill slopes in the order of 40%. As well as these electric utility vehicles Alke' also produces 4x4 electric vehicles that can climb uphill slopes of 46%. The speed humps in the video have a gradient of 50%, which added to that of an uphill slope of 20% lead to a VERY tough challenge, even if the slope is short. A minimum run-up is required, 5-10 cm are enough, and the speed hump can be passed without any difficulty. How to calculate the road slope?